Most parents use bribery at some point to alter their child’s behaviour, and we’ve probably all heard the expert advice that it’s something we shouldn’t get into the habit of. But how bad is bribery, and is there any other way to get our kids to behave the way we want? We’ve all been there: the late and desperate parent who offers a reward if they get into the car IMMEDIATELY, or the tantrumming child in the supermarket who is promised a Kinder Surprise if they behave themselves. As overstretched parents, we do what we have to do to make it through the day – this raising kids business is tough and not all of us have the time and patience to talk things through with our children. Using a bribe or promise of a reward if they engage in a certain behaviour tends to get results, at least at first. And it offers an easy fix to a potentially stressful situation. I’m the first to admit I use bribery to get my kids to eat their veggies. We also have a star chart on the wall to encourage good behaviour, once my children hit ten stars, they get a reward. Most of the time, these techniques have worked well for us. So what could be the problem? In some ways, bribery communicates that certain behaviours, such as eating vegetables or sharing toys is unpleasant and requires a reward to do them – and without that reward, the child will remain unlikely to do it. For example, if a child is rewarded with a cookie every time they eat their vegetables, we teach them that eating vegetables is unpleasant and they never get to discover the inherent joy of this activity. Woops. There’s also the problem of kids demanding a reward in exchange for the behaviour we’re requesting. Ever asked a child to get their shoes on or complete a household chore and been met with ‘Okay, but what do I get for it?’ And if we continually offer rewards to fix ‘bad’ behaviour, we are actually teaching them that misbehaviour brings rewards. Using rewards to create new habits isn’t so bad, either, apparently. For example, offering treats during potty training is considered okay because it’s time-specific and helps to enforce a new habit. Rather than using bribes to get our kids to eat better or share more with their friends, one trick is to get them to enjoy the result of their positive behaviour. For example, “You look stronger already now that you’ve eaten your broccoli!” or “Your sister looked so happy when your share your cars with her”. Getting them to see the positive consequences for their behaviour can help empower them to repeat the behaviour. If your child repeatedly needs bribes to co-operate with you and do the right thing, this could point to an underlying problem that might be more about feeling connected to you than anything else. Try rewarding your child’s behaviour with more time with you, even if it’s just for a minute or two at a time. Young kids love nothing more than a tickle on the floor or a ‘spin-around-cuddle’. 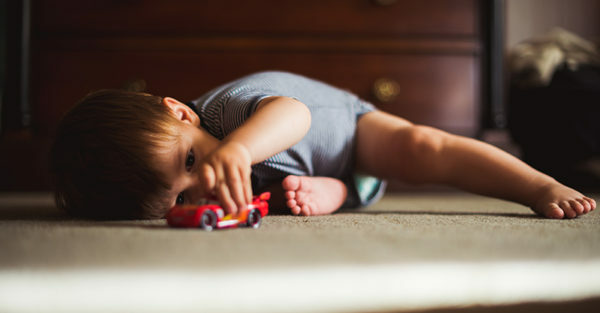 Using these as rewards for your child’s behaviour offers them more time to be connected with you, which could, in turn, redirect the behaviour you’re trying to change. If we’re running ourselves into the ground and constantly multi-tasking, we’re going to reach for bribes to control our kids’ behaviour more often, because it will seem the easiest thing to do. But if we start slowing down a little and engaging in little and often acts of self-care, we can more easily address the behaviour in our children, and gain better longer-lasting results.